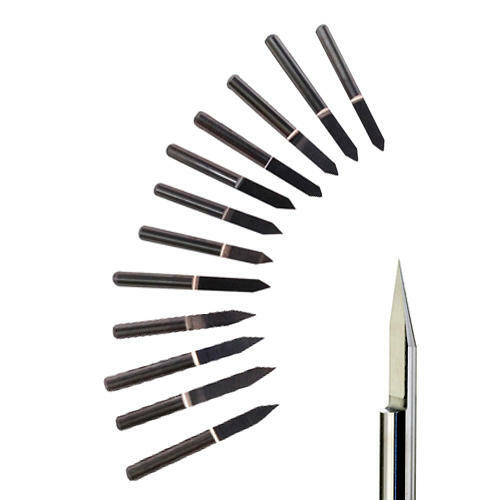 Each drill bit is individually boxed with a protective rubber sleeve. 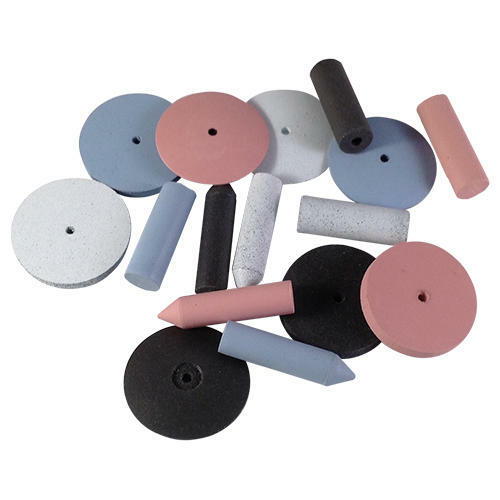 Be careful when removing the rubber sleeve to avoid snapping the more delicate sizes such as 0.1mm and 0.2mm. 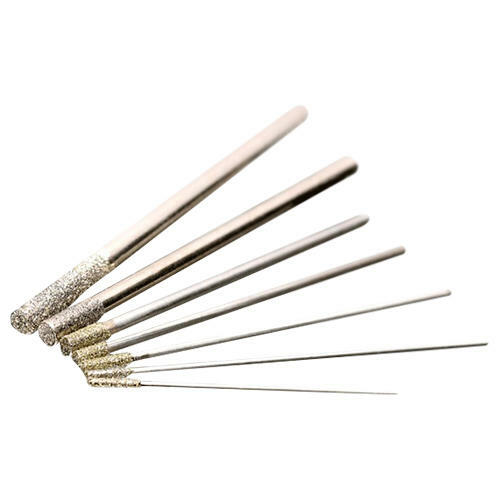 Most horologists find the easiest way to use them is by first finding the centre with a graver and then holding a micro drill in a pin-vice and then taking them to the work. Use very light pressure whilst taking the drill in and out periodically. No lubrication is necessary although a small dab of oil can help. 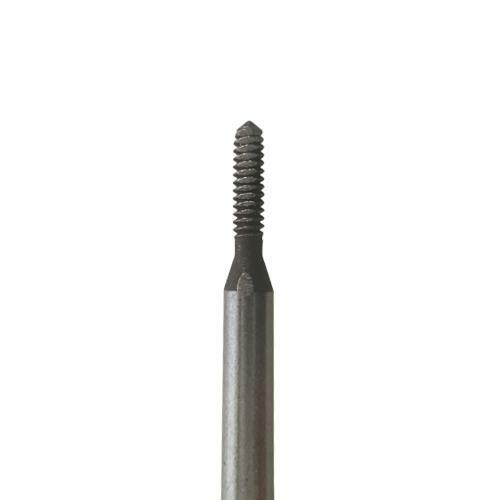 Extra care is needed with handling these drills as they are very delicate, especially sizes from 0.1mm - 0.4mm. Make sure everything is running true without any lateral movement. 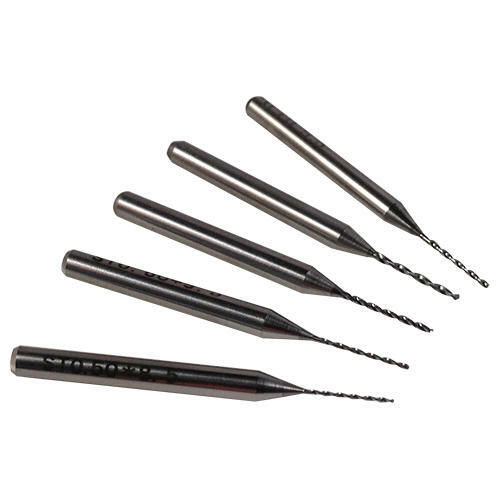 These drills are also perfect for delicate drilling through hard materials for model engineering, archeology and scientific laboratory work. 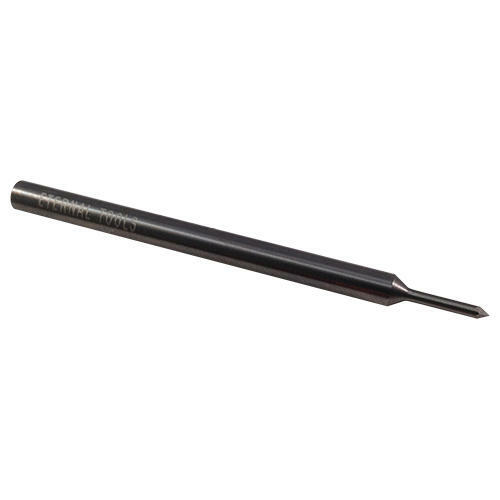 Ideal for drilling through PCB, printed circuit boards. 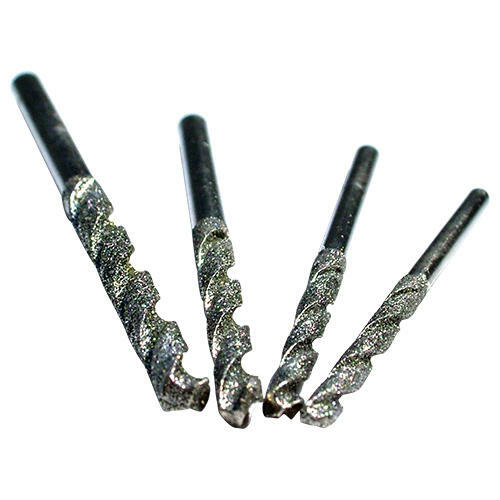 Made of fibreglass, printed circuit boards require a tough micro drill and our tungsten carbide drills range will outperform similar HSS drill bits. 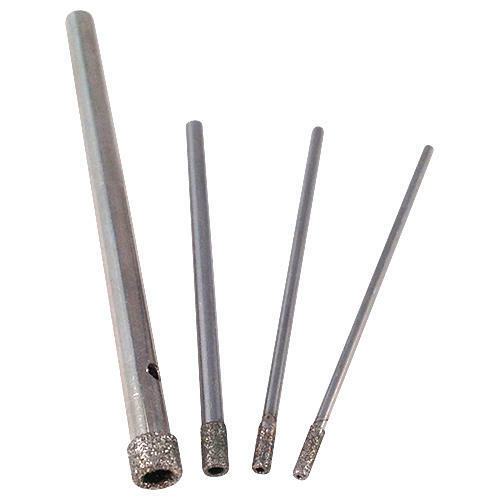 Shank Diameter: 3.175mm = 1/8"
These drill bits cut fast but are very delicate. They need a very light touch to work properly. <br />Short, flat pivot drills are stronger if you can buy or make them. Especially, if your repivoting clock arbors. 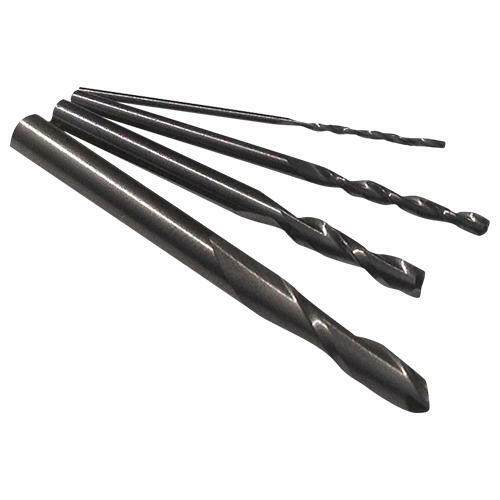 These drill bits can get break off while doing this work. Incredible micro drills. Drilling in stainless steel was no problem. They also come in useful plastic cases to keep them safe. A little too brittle was unable to complete the task as all bits ordered snapped. 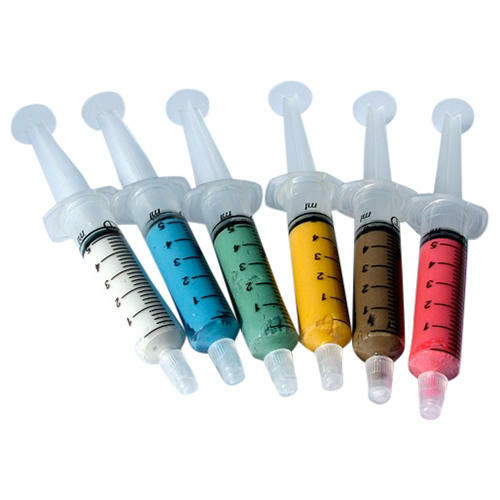 The drills were package individually in plastic tubes which were placed in individual protective plastic cases with the drill sizes marked on the exterior of the case. 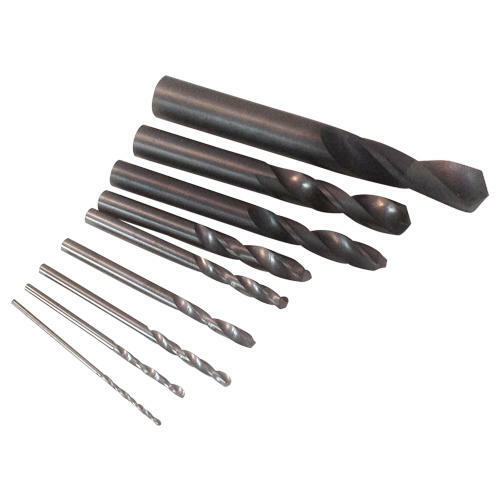 The drills are solid carbide and are very fragile. Ham-handed people should not order them. That is NOT a fault of the tool. A tenth millimeter drill is by definition fragile. 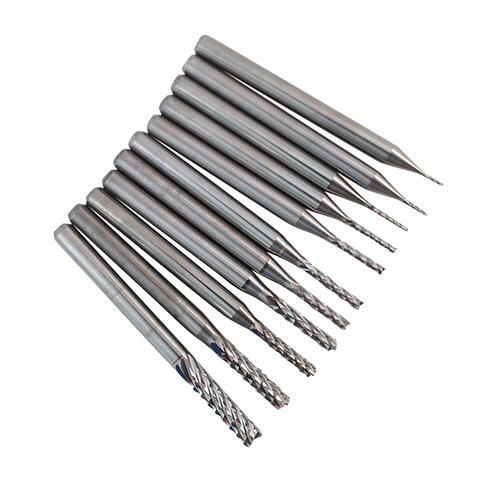 I have snapped a few but having discussed this with Eternal, it was down to me, not running the bits at high enough speed.<br />I had problems with normal HSS Bits drifting very slightly before they bite but the Carbide bits are spot on and very accurate. 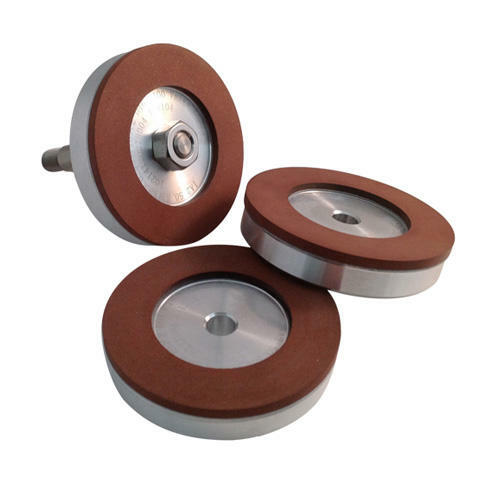 They also come in a great range of sizes, which are all in stock.<br /><br />The attached image shows little plates in 1/4" brass that needed a 1.9mm hole in the centre and a 2.5mm hole either side. I think you can see how clean the holes are and each is perfectly accurate. These plates are used in pairs, so they have to be identical as they form joints in some metal characters that I am creating.